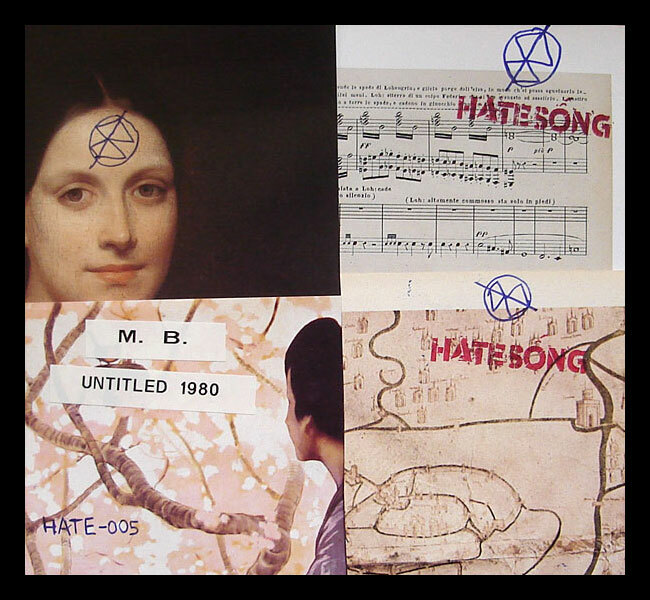 Hate Song is a new sub label which will focus on old school power electronics and harsh noise, and this comp is the first release on Hate Song. Featuring Blood Ov Thee Christ, Alfarmania, Club Moral, Proiekt Hat, Liver Mortis and Laxative Souls (better known as LXSS). Besides Club Moral, all tracks are new or previously unreleased. Art direction by Nick Bougas Ltd.100. D.C.A. is a collaboration by J.M. ONNI of Le Syndicat and Hitomi of Beast 666 did in 80's. ODAL is a dutch noise veteran since 80's and a member of the infamous FCKN'BSTRDS. For the fans of early CE, Mauthausen Orchestra or pure shortwave radio noise. Art direction by Mike Diana Ltd.80. The latest work by Mark Durgan (Birthbiter, Broken Flag, A part-time member of The New Blockaders) Each copy is numbered. Ltd.60. Part 1 in a 2 part series detailing the internal nightmare mythos of the Gripster Killer as imagined by sick analog provocateur Burial Hex. Old-school, cult Power Electronics using shortwave, feedback and vocals for the mighty. Ltd.100. The "UNTITLED 1980" tape is an old tape without title found from a friend of mine, and I called it "UNTITLED 1980" because it's without title. - Maurizio Bianchi. Ltd.90. Extra 10 copies are signed/handmade cover edition made by M.B. The content is same as normal edition but each cover is different. One of the most obscure/mysterious italian noise artists from the 80's. "On the face of it this tape should be given immediate condemnation as it contains a cover version of 'MAGGOT DEATH'. Considering this factor, it is a miracle, but this is mostly an excellent tape. An extreme TG at times, a LEIBSTANDARTE SS MB at others, not forgetting the occasional flicker of NWW! Well recorded, plenty of good variety. The titles of the tracks, however, are pathetic! 'Talkin' about', 'Industrial Lullaby', 'Radiopower' you could be forgiven for thinking that the music is 'rockabilly'. Musica-ly recommended, however." - William Bennett. Ltd.44. 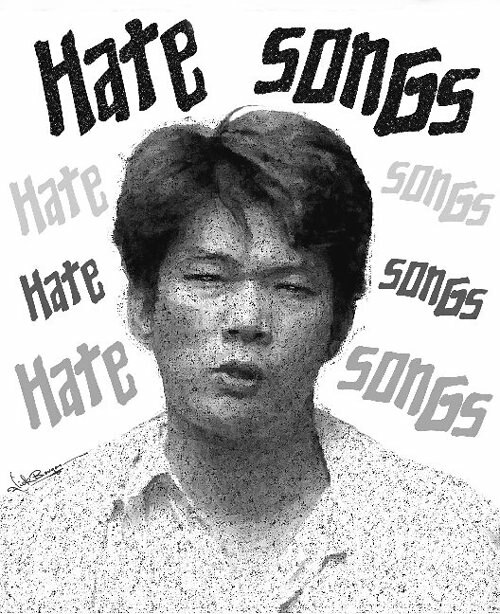 Copyright © 2004-2018 Hate Song Production. All rights reserved.